I'm so excited to bring you today's giveaway!!! Have you heard about or seen Kaboo Tablet Bags? Kaboo has four fabulous styles that each come in two color choices. because they are all darling. In the end, I chose Riley for several reasons. 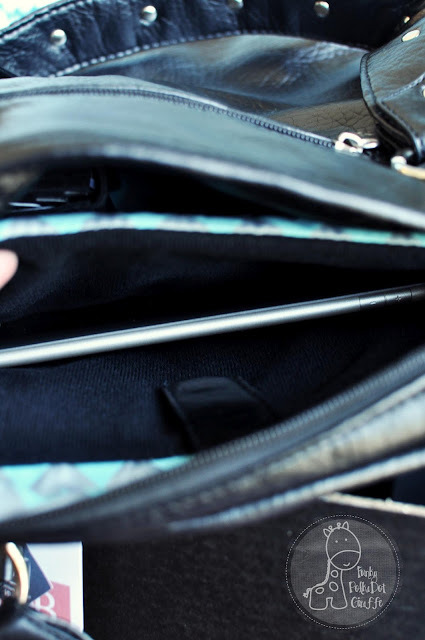 and I go a little crazy when I don't have a pocket for each thing in my purse. happily ever after since she arrived on my doorstep. 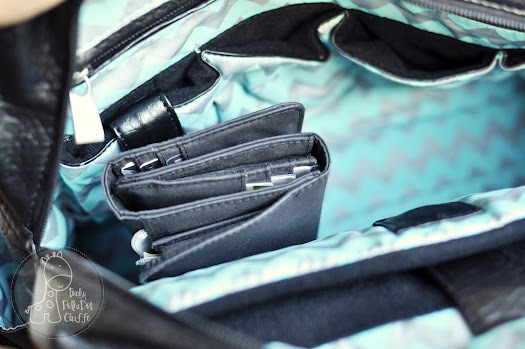 There are also lots of inside pockets and a darling aqua chevron print. 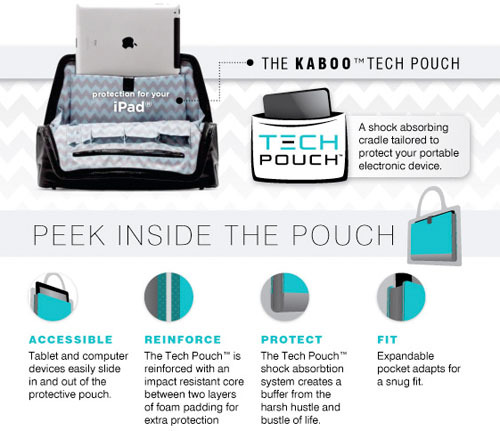 I was also super excited about the Kaboo Tech Pouch! It's a nifty little spot to keep your tablet safe. to TWO lucky FPG readers! I promise, you will love these stylish bags. Love, love, LOVE the Tina! love the riley in pearl! 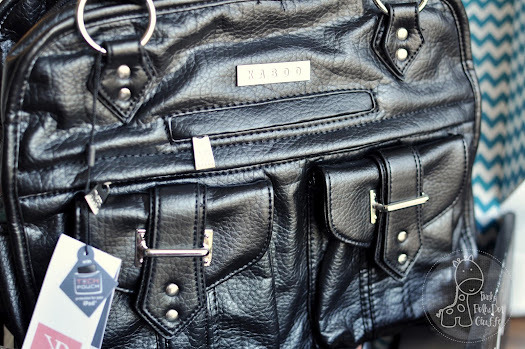 I love the Roxie bag. They all look awesome! I love the turquoise olivia!! I would love to win one of these bags!! They are so cute and functional! I love the Olivia and the Riley bags! So Cute! The Riley is my favorite. I must have the Tina!!! Mustard yellow is my happy color!!!! I am all about The Tina. I jsut love that bright yellow color! I'm drawn to the Olivia bag, since I have an Olivia myself. :) These bags are gorgeous! The Riley in black! Omg love these! I love the tina Mustard bag! too cute! i love the tina bag Mustard! too cute! The Olivia turquiose is my favorite. I couldn't comment on the Kaboo blog. Ooh! I want the Olivia bag in teal or black...can't decide. Cutest bags! I would love to win!! I love the Tina in mustard yellow! What a fun giveaway! I love the Riley bag. 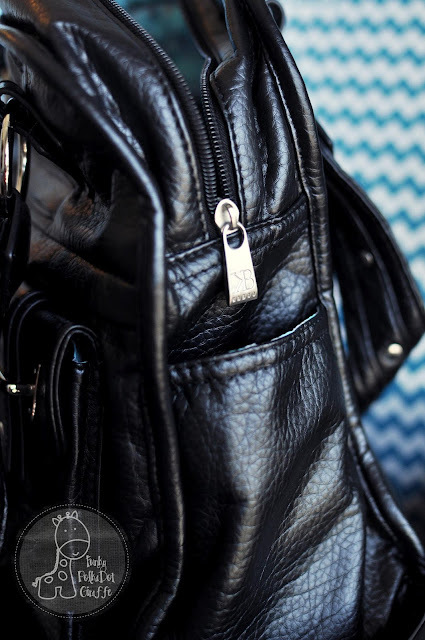 I love the Riley bag in black! My favorite is THE RILEY - BLACK. thank you for the chance. I love the Riley in black. I'm a sucker for anything with lots of pockets. I'm torn! I love both the Olivia and Riley, but the Riley would be a better fit for mre. I like the Olivia Bag. Love the Riley in black! I love the lines of the riley and I don't wear that color so it would be a good accent color right? My favorite is the Tina! The Olivia bag in turquoise is calling my name! Thank you for the chance to win! I love the tina in black! I LOVE the Olivia in turquoise!